SIGGRAPH conference volunteer work requires a considerable investment of time. All the conference programs are critical to the success of the conference, so it is imperative that committee members not underestimate the time commitment required. It is also important that your employer and family understand this time commitment and be willing to support you in this endeavor. Volunteers are not compensated monetarily for their time. All conference committee members are required to attend both the conference they are working on plus the previous year’s conference. Depending on the position, this can be 8-10 days for each conference. Program chairs must attend the jury and/or selection meeting of their program for the previous conference year, and they must plan and preside over their own such meeting. Over the 18-month active planning period for a conference, program chairs are required to attend six to eight committee meetings. Committee meetings are usually scheduled for three weekend days. Depending on the position, there may be a few other meetings that program chairs must attend. After each conference, program chairs submit final reports about planning, execution, and post-event activities. These insights are shared at a wrap-up meeting after the conference. In addition to meetings, program chairs must spend adequate time connecting with appropriate people in the computer graphics industry to stay abreast of the current issues that affect their programs and the conference. Program chairs are also required to devote adequate time to administrative duties, such as corresponding with their contributors, sub-committees, and/or juries. All conference committee expenses related to conference planning, such as travel, are paid for by the conference. Where possible, many companies support volunteers by providing phones, copiers, faxes, office supplies, administrative time, and even travel expenses. Expenses not covered by these contributions are budgeted and carefully managed by the Conference Chair, CSE, and individual committee chairs. Certain committee positions also receive support to pay for administrative expenses. Committee members are not directly responsible for generating income. They are responsible for creating an exciting program for conference attendees. Committee members are often asked to prepare status reports in preparation for committee meetings. A comprehensive final report is prepared for the wrap-up meeting after the conference. Between meetings, email and phone meetings are used extensively to keep everyone informed. Every committee member must allocate sufficient time for daily email processing. All committee members must have access to current computer technology for conference-related work. SIGGRAPH uses a standard software suite for word processing, spreadsheets, and database applications, which is available for loan to committee members. All committee members must also have reliable access to the internet including email, FTP, and web access. It is important for volunteer program chairs to understand that they are ultimately responsible for all details of their programs. 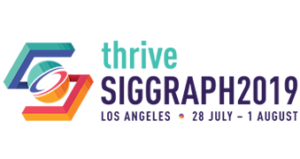 SIGGRAPH has a wealth of resources available in several contracted service organizations to help with detailed planning and production, but it is up to the program chairs to be sure tasks are organized in the most efficient and effective manner, and provide program oversight. The industry, the conference, and the rest of the committee depend on each program chair to understand the entire process, evaluating previous years’ procedures, and determining which are wise to maintain and which ones need updating.